Why User Acceptance Testing Matters? There is an increasing trend among many software companies to avoid the ‘testing’ phase from the Systems Development Life Cycle (SDLC) and compromise quality, when any adverse situations come up (For instance: time constraint, client budget issue etc.). Is it good to do so? Is testing just a phase with low priority which can be easily cut off to meet the timeline and budget? In my place, here in Kochi, Kerala, the Metro Rail Project is launched recently. It’s really a new experience for the people around here. High-tech Metro Stations with tickets with QR scanning, sensors, Automated Fare Collection (AFC) gates, and so on. It is indeed a wonderful effort from the government which deserves a grand applause. I have come across several scenarios at the Metro Station where accomplishing varied tasks through these automated systems becomes awry. Though the functionality of each of the system may be flawless, there are lots of flaws when it comes to user experience. I have observed people struggling to make the flap gates open, and other seemingly simple tasks turning difficult for the users. As people are new to this stuff, there should be proper channels to educate them about using the automated systems. How about doing a UAT (User Acceptance Testing) before providing these to customers. Wouldn’t we have solved all these if we had run UAT at least once? Yes, running a UAT would have made the whole experience a more worthwhile one. Let’s have a look at the topic in technical aspect as well. What are the different types of UAT? Broadly, there are four different types of UAT. Alpha Testing is a form of internal acceptance testing, which takes place in development environment and is mostly done by employees. Beta Testing, also known as “field testing”, takes place in the customer’s environment and involves some extensive testing by a group of customers, who use the system in their environment. These beta testers then provide feedback, which in turn leads to improvements of the product. Alpha and Beta Testing are done before the software is released to all customers. Contract Acceptance Testing means that a developed software is tested against certain criteria and specifications which are predefined and agreed upon in a contract. The relevant criteria and specifications for acceptance must be defined when the contract itself is defined and agreed upon. Regulation Acceptance Testing, also known as Compliance Acceptance Testing ensures that the rules and regulations of the governing body are fulfilled. Also known as Operational Readiness Testing or Production Acceptance Testing, checks the non-functional aspect of the system. It is used to conduct operational readiness of the system. Every customer expects a system to work perfectly. We can’t build a 100% perfect and bug-free system on its first release. But we can definitely improve the quality and verify that it serves its purpose well by thoroughly testing the system and introducing improvements. Hope this was helpful. Happy testing! 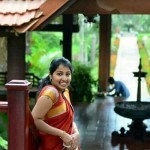 Aswathy Jose, a passionate QA Professional with 4+ years in the IT industry. She has proven expertise in all phases of the life cycle, including requirements gathering, risk analysis, project planning, scheduling, testing, defect tracking, management, and reporting. Adept at using both manual and automated testing tools. A keen observer and learner who would like to learn new trends in the QA arena.